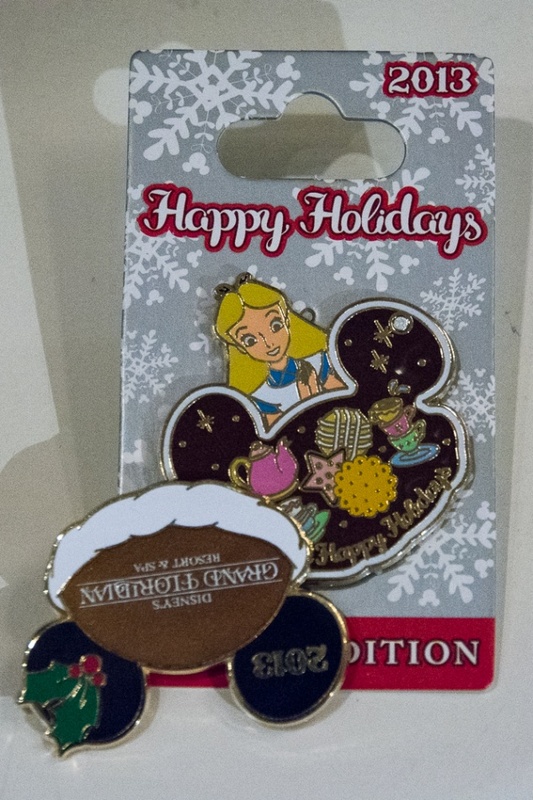 We have one more stop on our holiday tour of the Magic Kingdom Resort area and I saved the grandest of all for last. 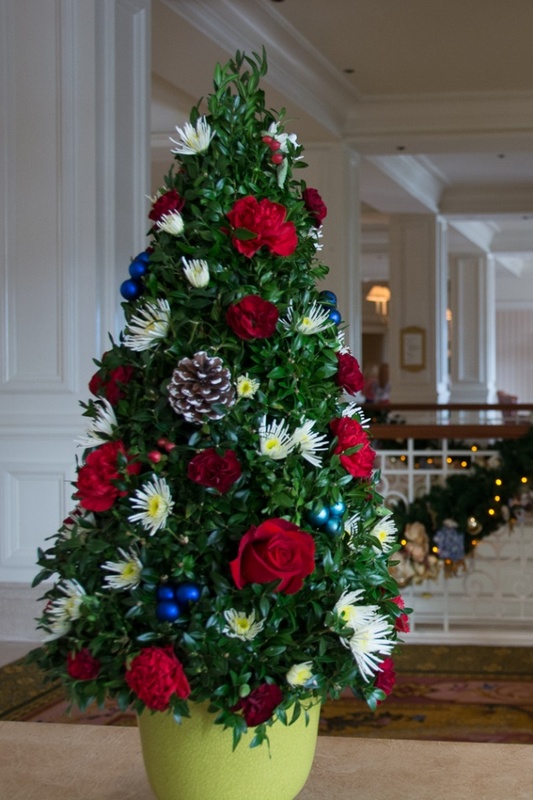 Today we’re spending Christmastime at Disney’s Grand Floridian Resort & Spa. 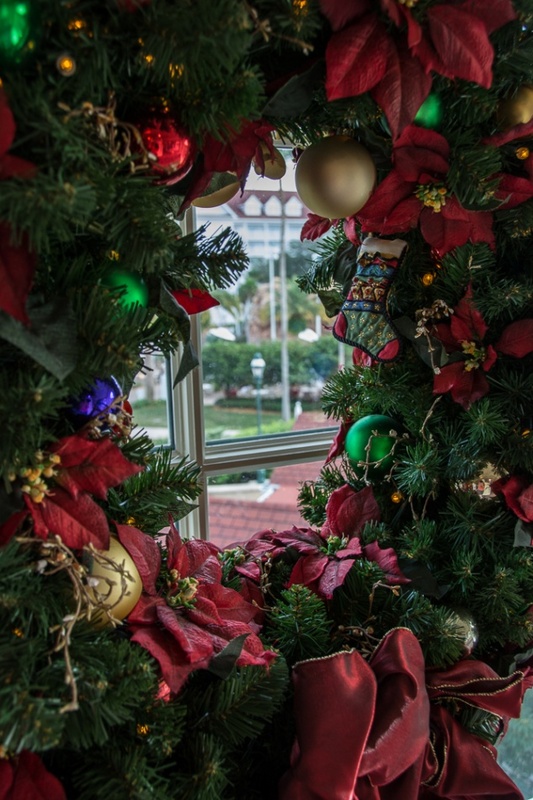 The Grand Floridian is a Victorian-style resort, modeled after the Hotel Del Coronado in San Diego. 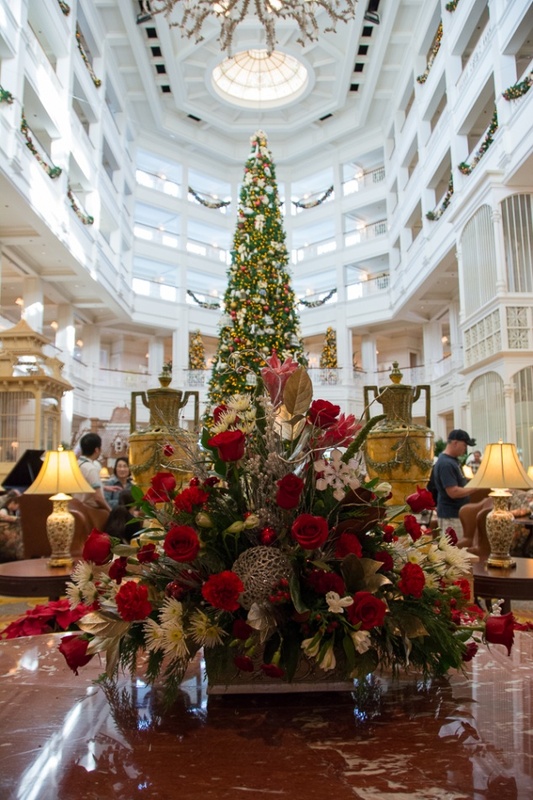 With its stunning lobby and beautiful grounds, it’s easily the most elegant resort on the Walt Disney World property. 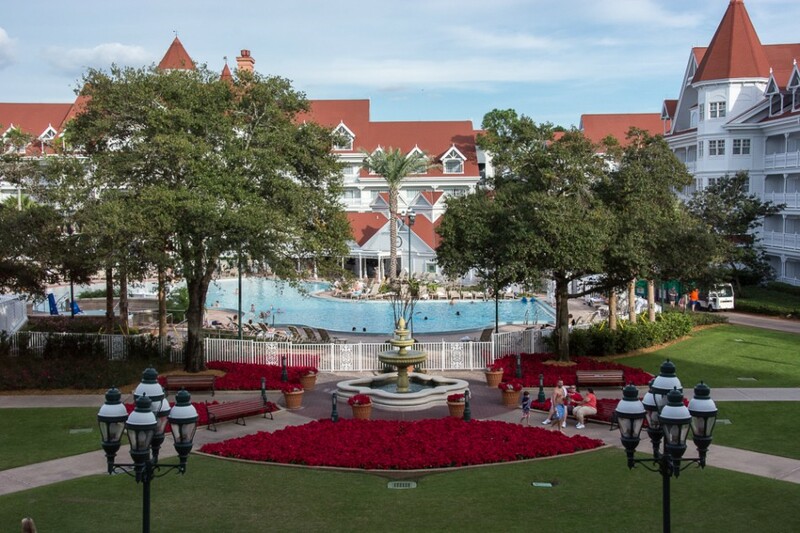 This past October saw the opening of the Disney Vacation Club Villas at the Grand Floridian, making it the newest and most luxurious resort in the Vacation Club’s inventory. 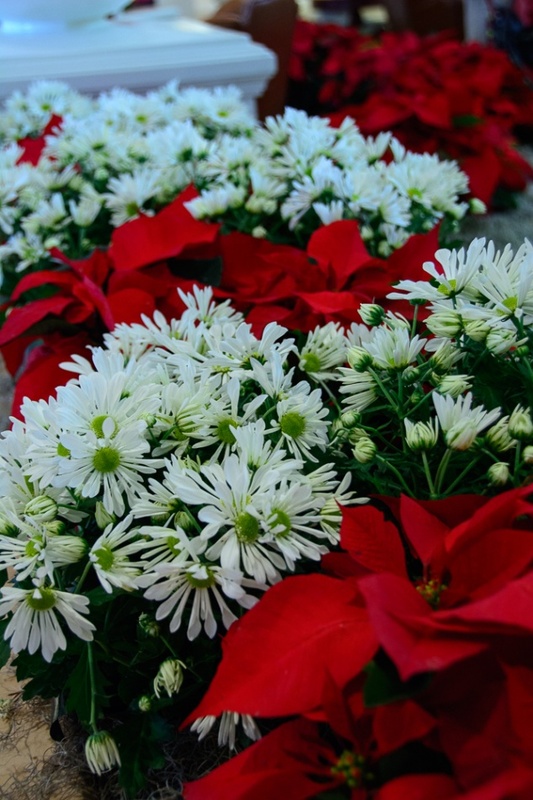 Here at the Grand Floridian, they don’t just have a few poinsettias decorating the grounds – they have whole flower beds of them! The color is gorgeous and plays so well against the red roofs of the buildings. 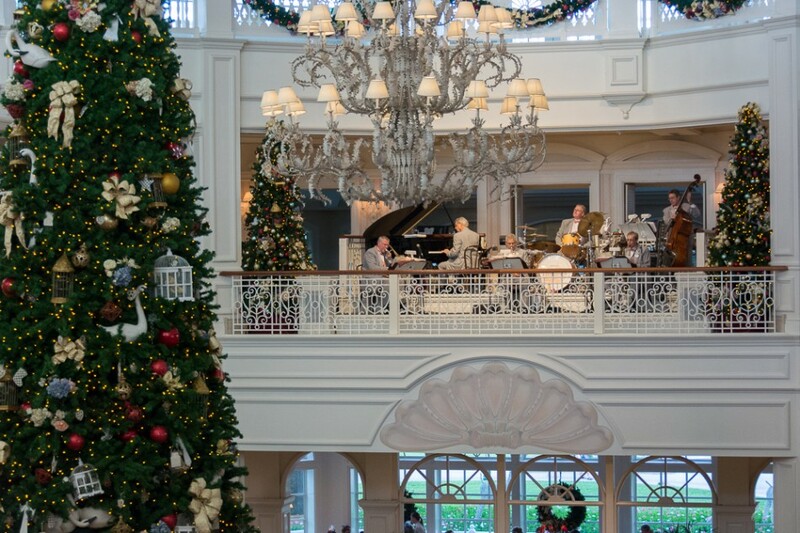 If there is one resort that I would tell you not to miss at Christmastime, it’s the Grand Floridian. It is so worth the trip. 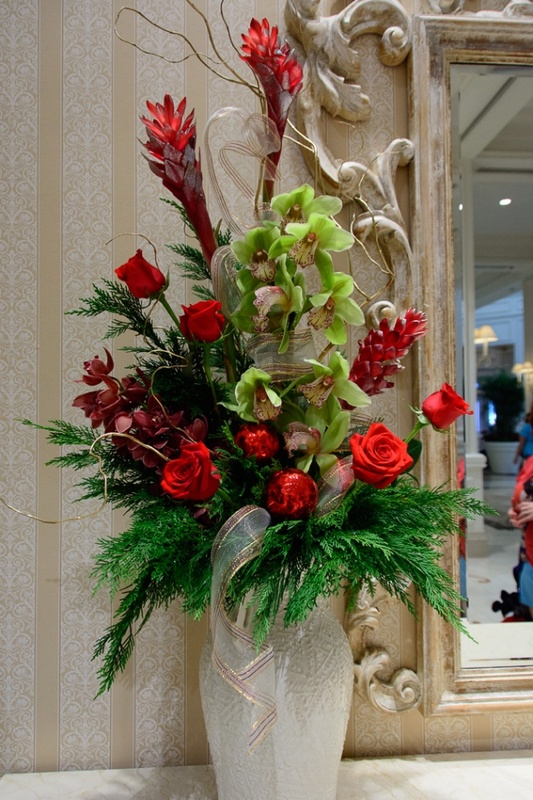 When you enter the lobby, you will be in awe of of the splendor. 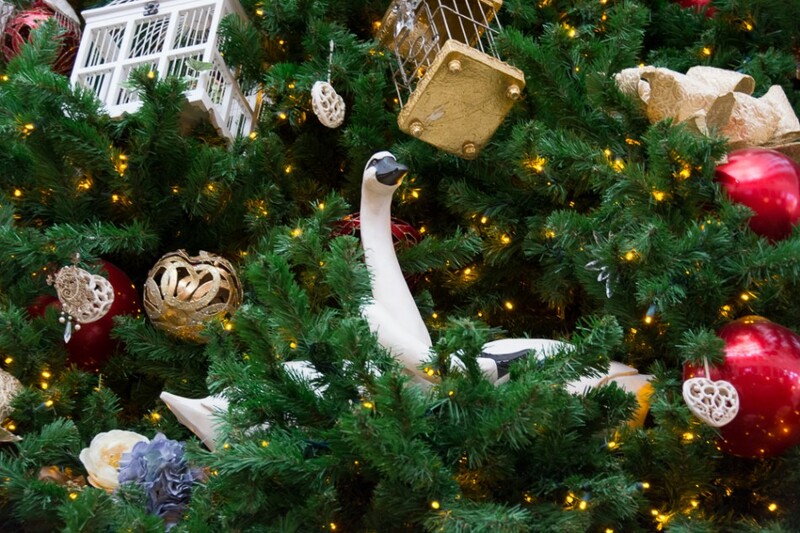 The Grand has several trees – eight that I can remember. 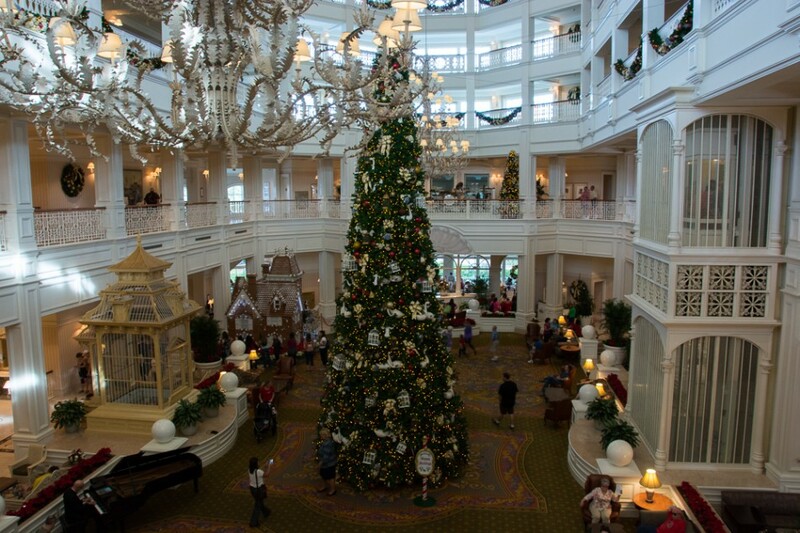 In the center of the lobby is the biggest tree, reaching at least 4 stories high. 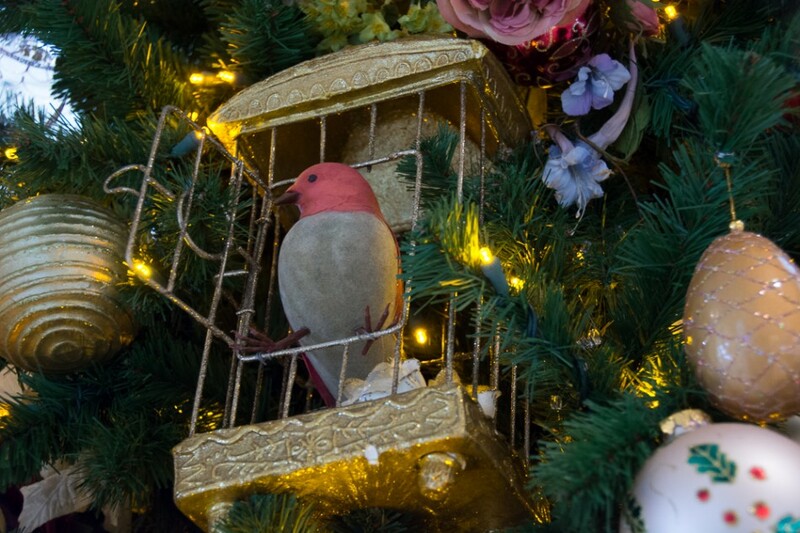 In keeping with the Victorian theme, the trees are decorated with satin ribbons, glittery balls and lots of beautiful birds. They are very elegant. 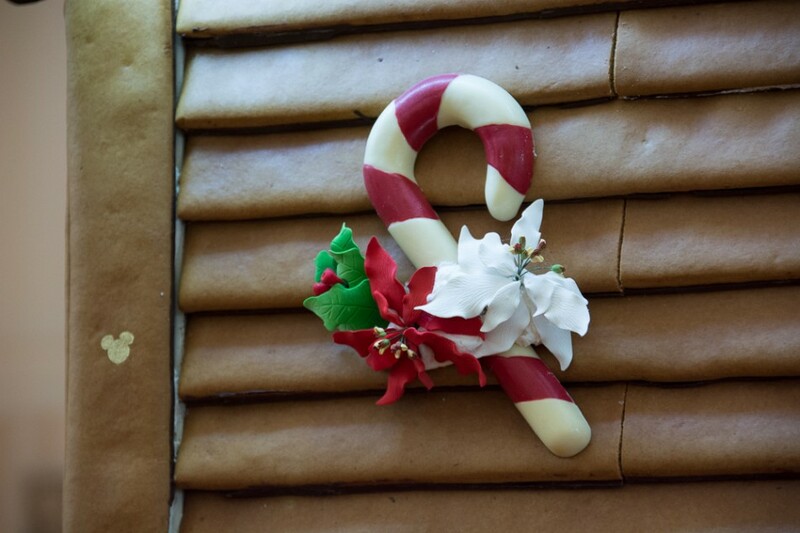 The kids even have there very own kid-sized tree, decorated with candy canes, stockings and snowflakes. 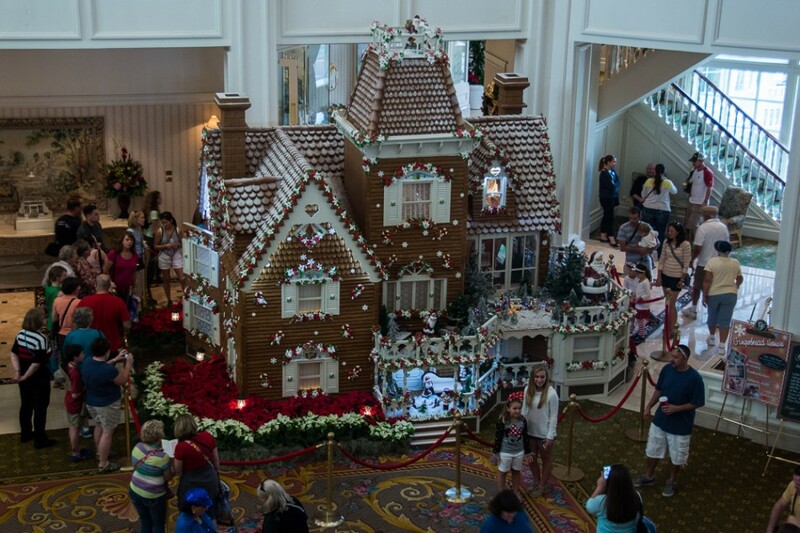 One big reason to make the trip over to the Grand Floridian is to see the giant gingerbread house in the lobby. 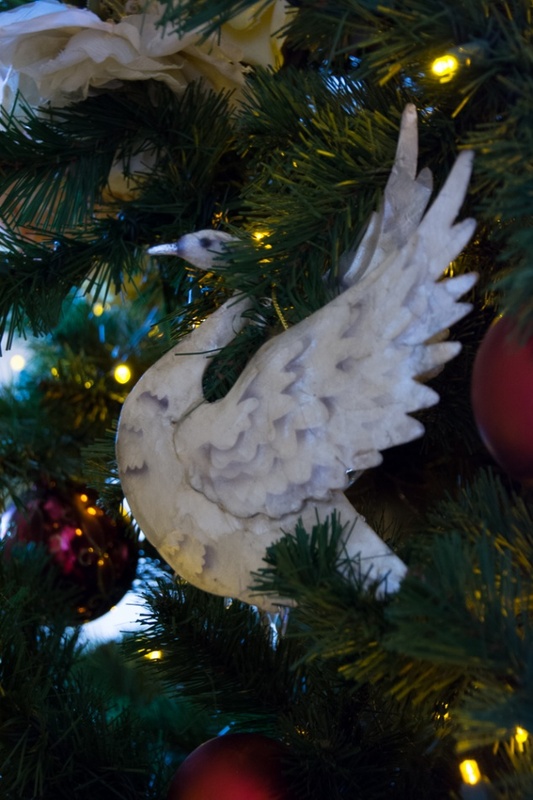 The detail on this creation is amazing. 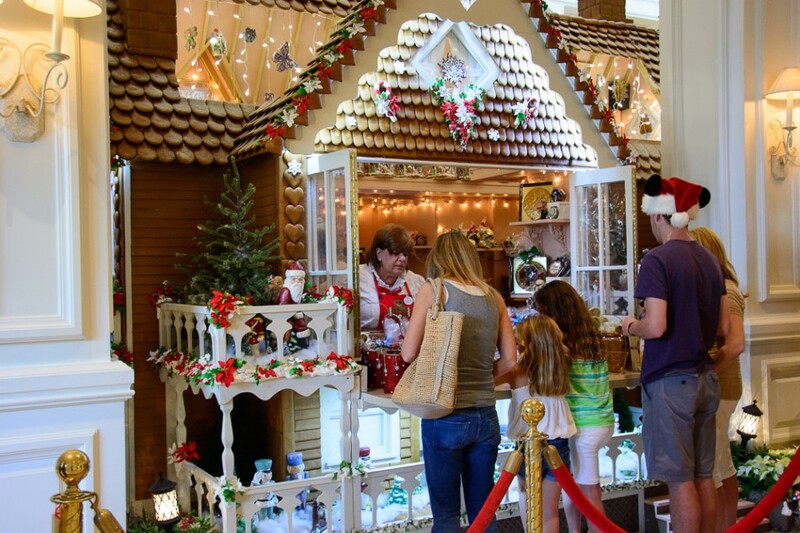 Many people don’t realize that the gingerbread house is actually a concession stand. 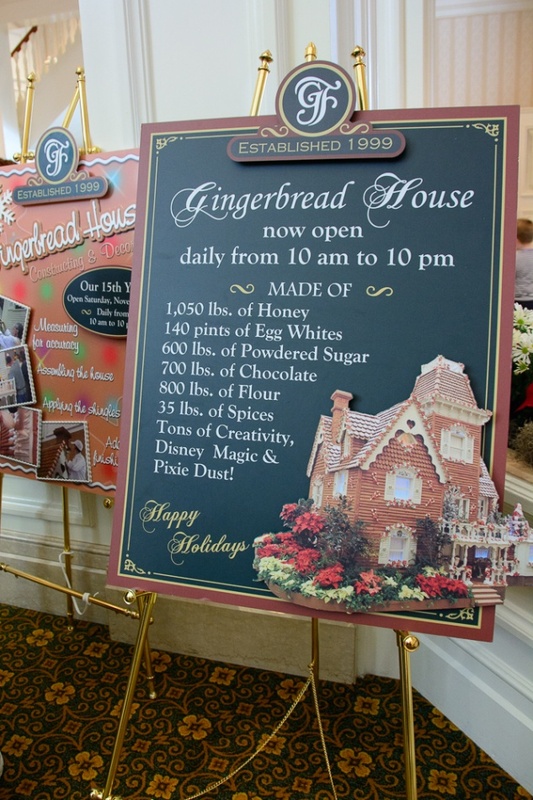 Around back you can buy all kinds of holiday treats, including, of course, gingerbread! 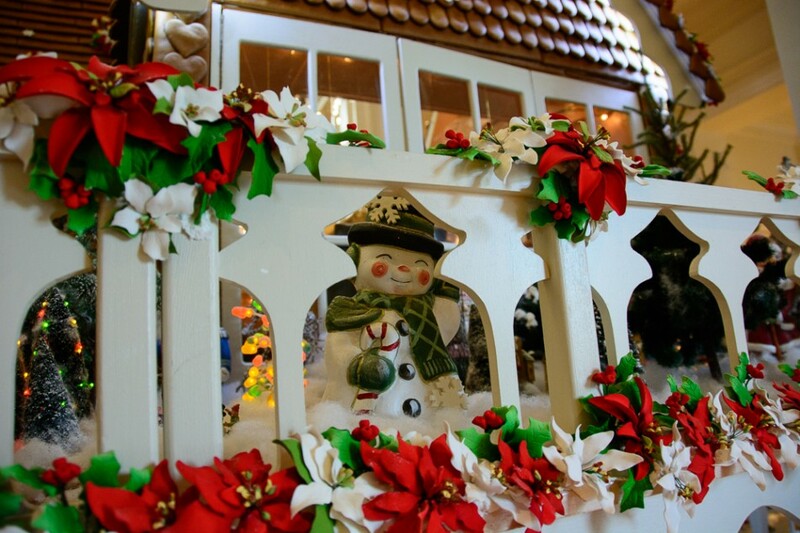 Here is one of the cutest little snowmen I have ever seen. I love how this little guy is framed by the porch railing. Can you see the little gumdrop tree next to him? There are even hidden Mickeys to find. 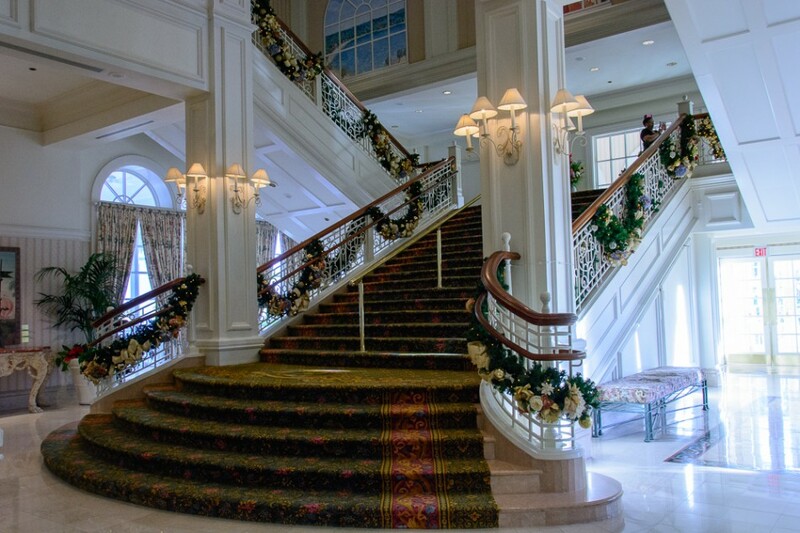 This grand staircase is stunning anytime of the year, but it is especially pretty when adorned with these lovely Christmas garlands. 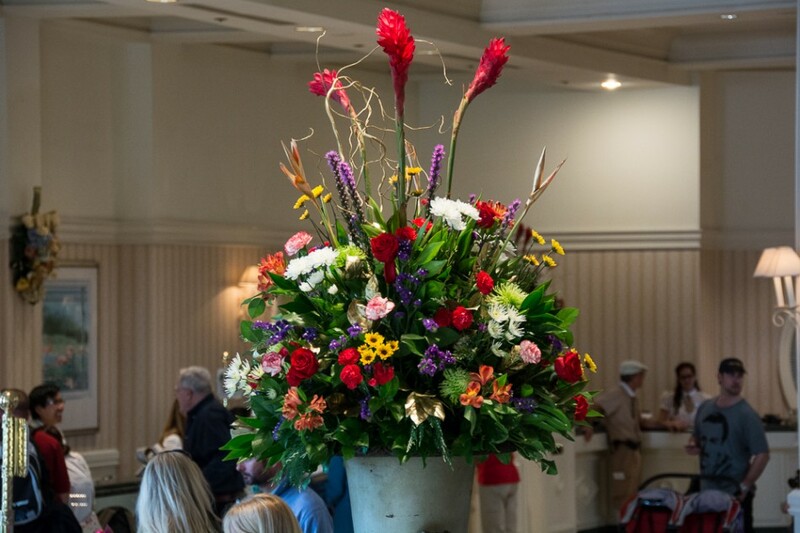 One of the things that really sets this resort apart is the abundance of beautiful flower arrangements. Here are just a few that I came across. 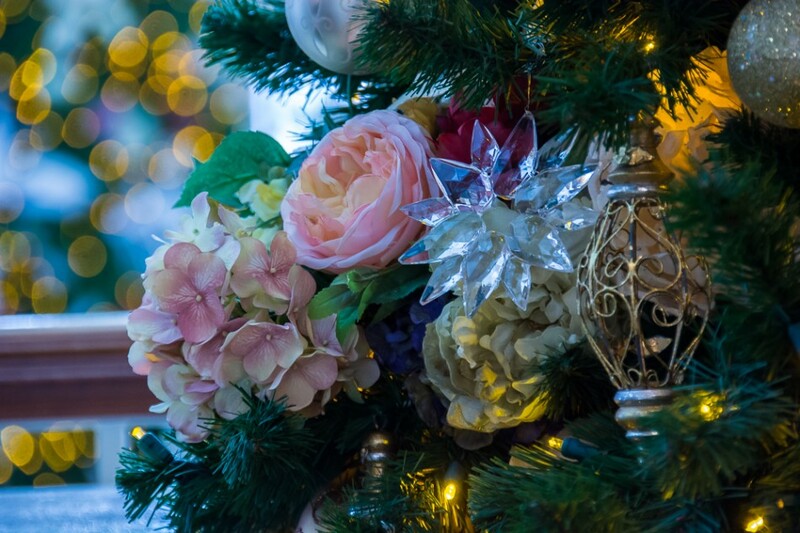 These peonies and hydrangeas are on the smaller trees at either end of the lobby. 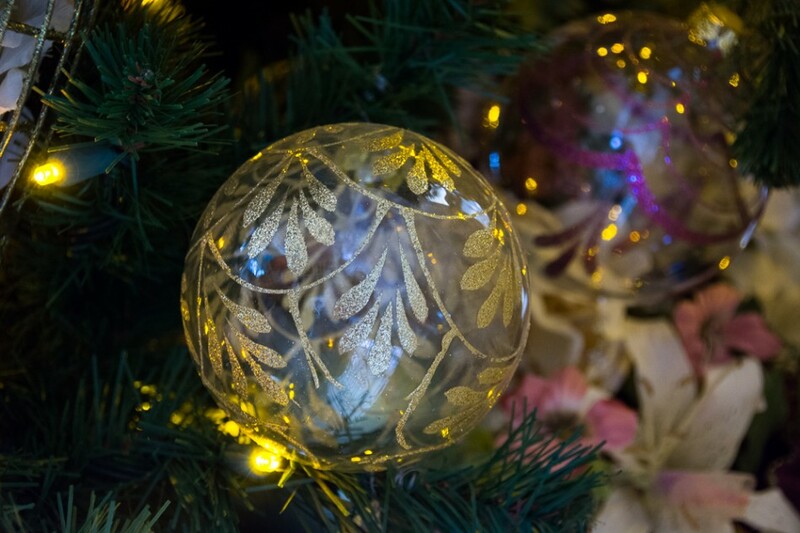 I say smaller trees, but they are way too big to fit into my house! 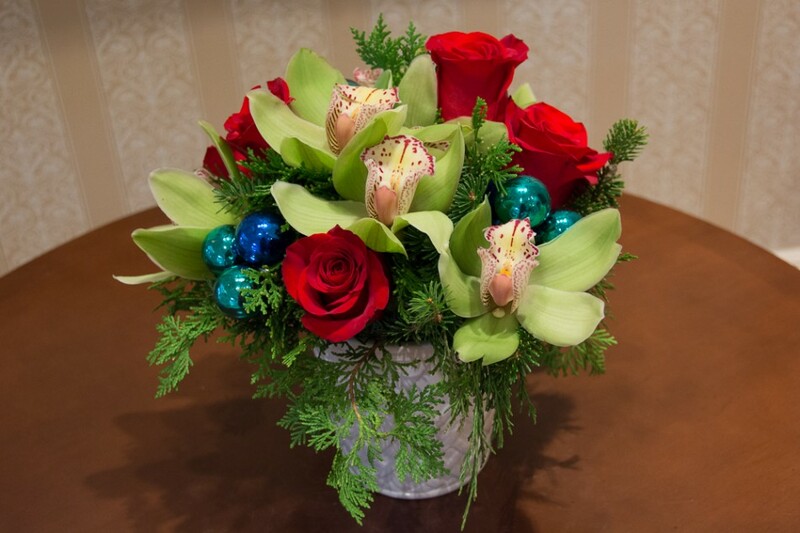 These flowers are very Victorian. 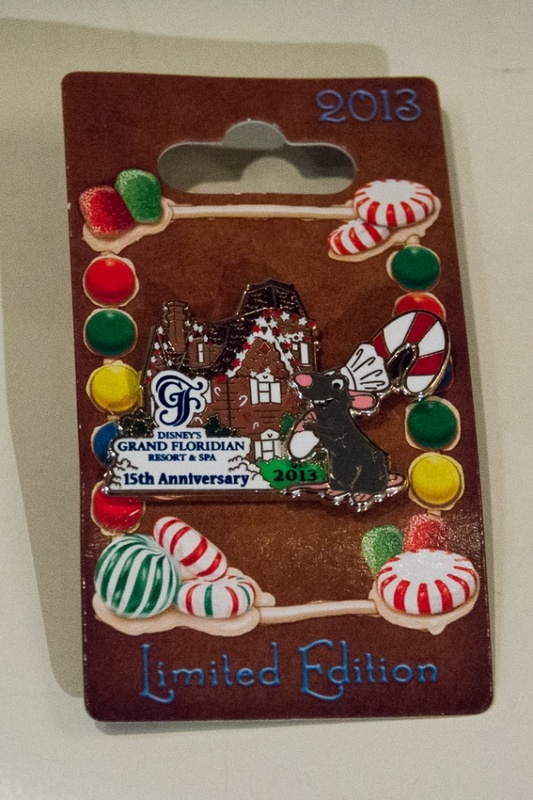 Because it has the gingerbread house, the Grand Floridian has two limited edition holiday pins. I especially like this last photo because it is framing the new Vacation Club building in the background. Sadly, that’s the end of our tour. I hope you enjoyed it. I shared only a few of the hundreds of pictures I took at the Wilderness Lodge, Contemporary, Polynesian and Grand Floridian Resorts. 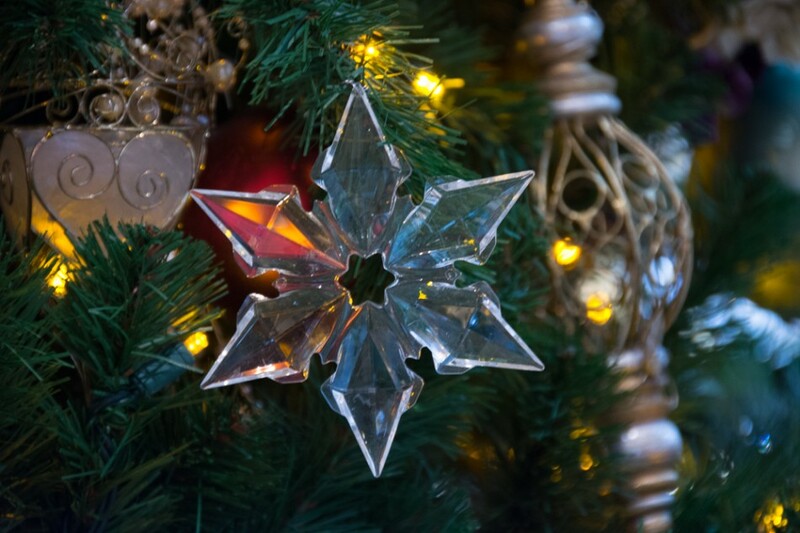 If you didn’t get a chance to see the holiday displays at these resorts for yourself, I hope you do in the future. 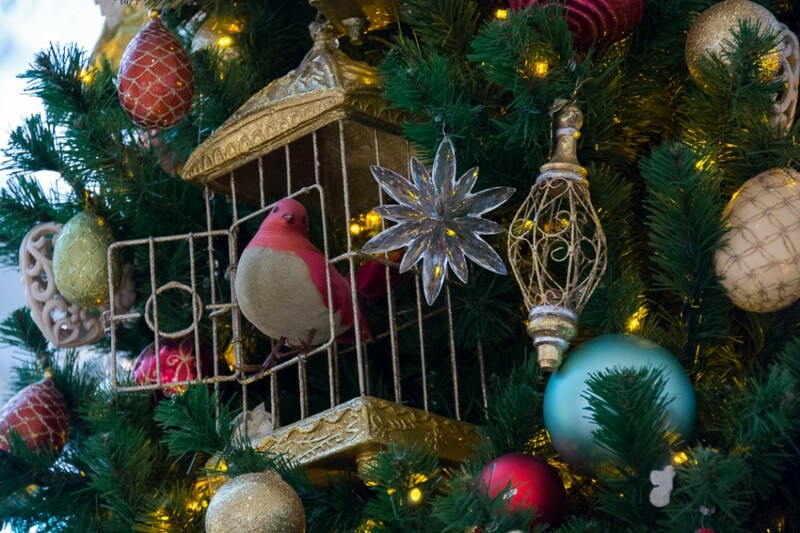 Christmastime is such a wonderful time to visit Walt Disney World. Everyone should get the opportunity to experience it in person at least once. Maybe I’ll see you there next year! 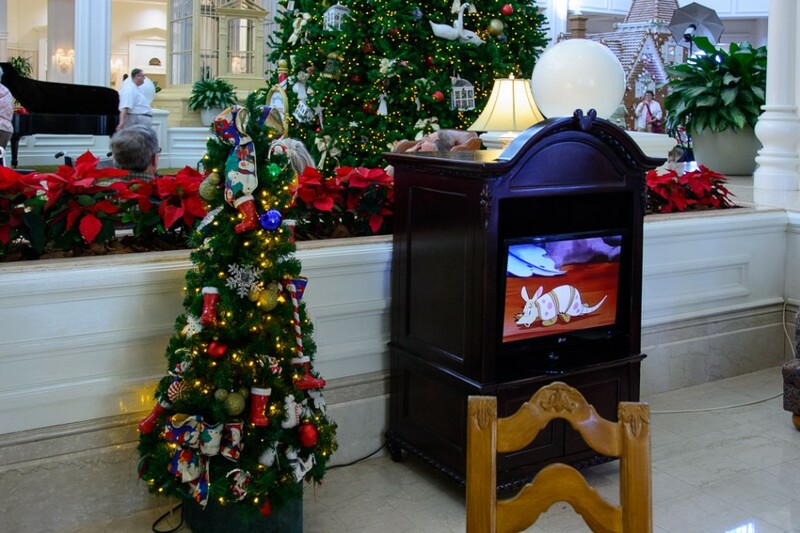 One thought on "Christmastime at Disney’s Grand Floridian Resort & Spa"